This work was created at the Burragorang International Artists' Workshops in NSW in April, 2003. A 200m length of fencing wire was stretched from the dry Ironbark country on a spur, down into a a valley of Salmon gums, zig zagging through the through the tree trunks. 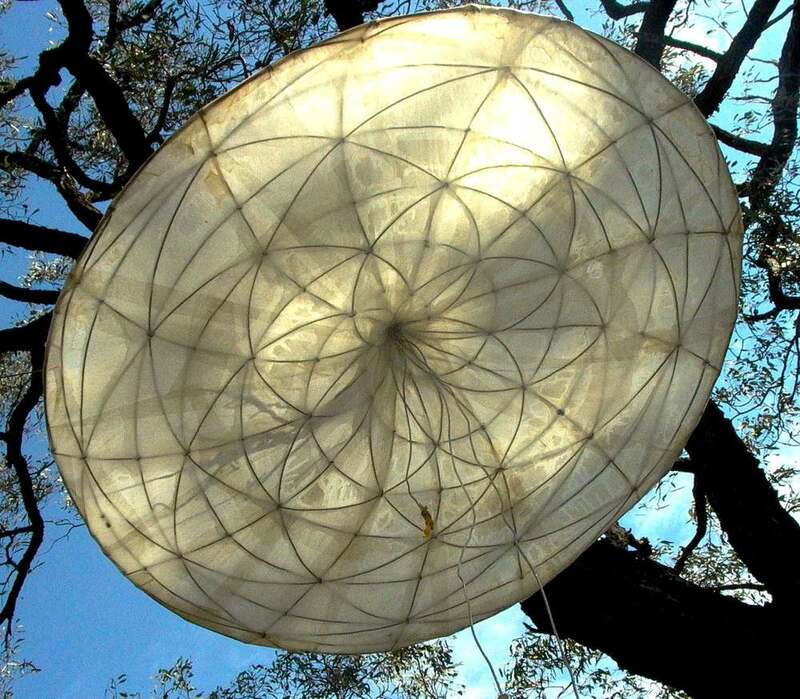 At critical spots along the wire hung the "Flowers", dangling down at head height, acting as passive amplifiers for the sounds of the creaking tree trunks and bush sounds in the wire. 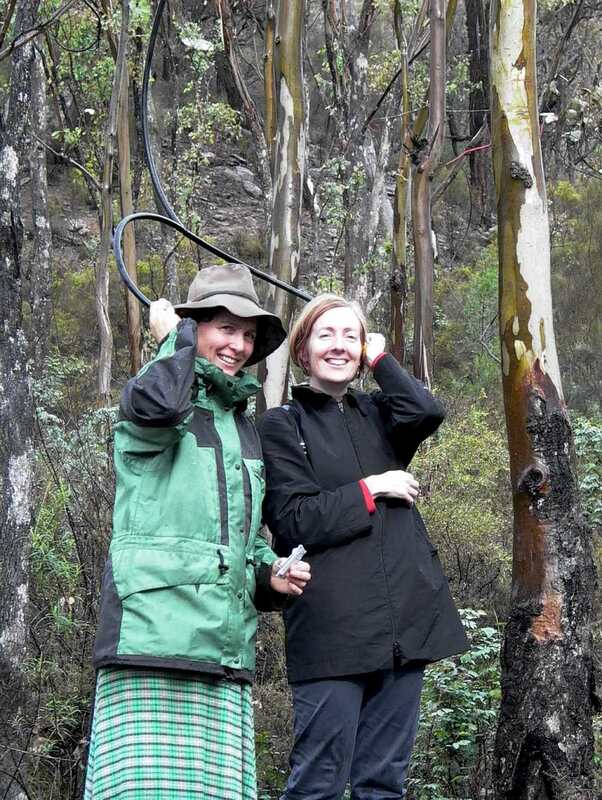 At several other places along the way hung "ear phones", stethoscope type attachments that gave a high fidelity, in depth aural picture of the sounds coming out of the bushland sound work.